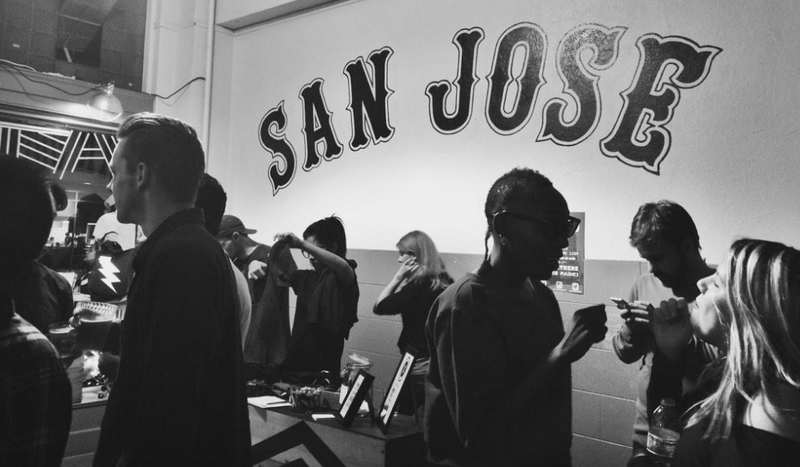 The San Jose Blog: Pop-Up Shops Galore Coming Downtown! I need more t-shirts! I'm headed downtown! "Popping up" because these non-traditional/younger retailers can't afford the rents in urine-stained downtown San Jose, where the rents are almost as high as Santana Row, but the crime, bums and rifraff all come free. How about a blog post about the many empty storefronts on Santa Clara, San Fernando...or one about the neat new adult store that opened on Santa Clara Street? Hey -- it's in a real storefront! The rents aren't even close to Santana Row, but yes there are still a lot of empty storefronts. That is why these popups are a great idea to help fill some of them up and give local entrepreneurs a chance to shine! People act like an adult store is the epitome of a ghetto or low class downtown. I just walked down Colorado in downtown Pasadena and there is an adult store, complete with lingerie displays in the window. And Pasadena is far from being a low end, or classless downtown. San Jose just acts like it's invisible. Yay! Popups! Yay another BroBar! And wait until the Whole Foodsgasm here when the store opens on the Alameda at Stockton -- geography will be rewritten to make that neighborhood "downtown" and the opening of Yuppie Market will be lauded as "another sign that downtown is The Place To Be!" On this blog, in the Merc and all the other vested-interest publications, things like adult stores, Fountain Alley drug markets, St. James Park being a haven for the unhoused and over-inebriated...these things simply do not bear reporting. All is well! Exclamation marks trump reality!! I think the Merc and the SJ pessimists have those topics covered already. If you don't like good news about what is happening in SJ or want to complain about issues we have limited control over, you should probably head over to SJ Inside.